Taking Refuge in the Three Jewels, Buddha, Dharma, and Sangha, marks the difference between a Buddhism enthusiast and a practicing Buddhist. Today we will be conferring refuge on a few students who have decided to make a commitment to increasing their happiness and decreasing their suffering according to Buddha Shakyamuni’s Four Noble Truths, benefitting themselves and all beings. This ceremony is open to the public and everyone who attends is welcome to take refuge for the first time or to renew their refuge vows. Our Refuge Ceremony is conducted primarily in English according to the Tibetan Dzogchen Longchen Nyingthig. Therefore you will be able to understand what you are saying and what commitments you are making, and why. If you are curious about Buddhism or refuge, you are invited to attend and participate or observe. Not only is it a teaching but it marks a joyful beginning for new practitioners. We hope you will join us on this auspicious and wonderful day! 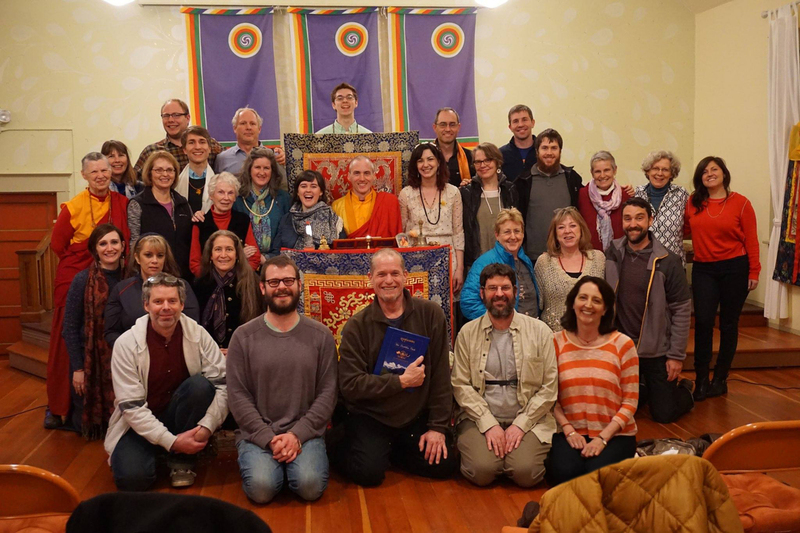 There is a $5 suggested donation to support the Portland Dharma Center and our dharma activities. No one will be turned away for lack of funds. Please send inquires to pdx.dzogchen@gmail.com.